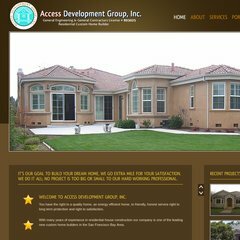 www.Accessdevelopmentgroupinc.com - Welcome to Access Development Group Inc. Topics: Portfolio, Capri Project, Campbell Project, Martens Project, Bryant Project, and Lubich Project. The Endurance International Group Inc (Massachusetts, Burlington) is the location of the Nginx server. It has 2 DNS records, ns1.ipage.com, and ns2.ipage.com. Accessdevelopmentgroupinc.com's IP address is 66.96.147.103. PING www. (66.96.147.103) 56(84) bytes of data.